This week, we’re going to have a round-up of some of the most anticipated Tejano, conjunto, and cultural events of the month of May. 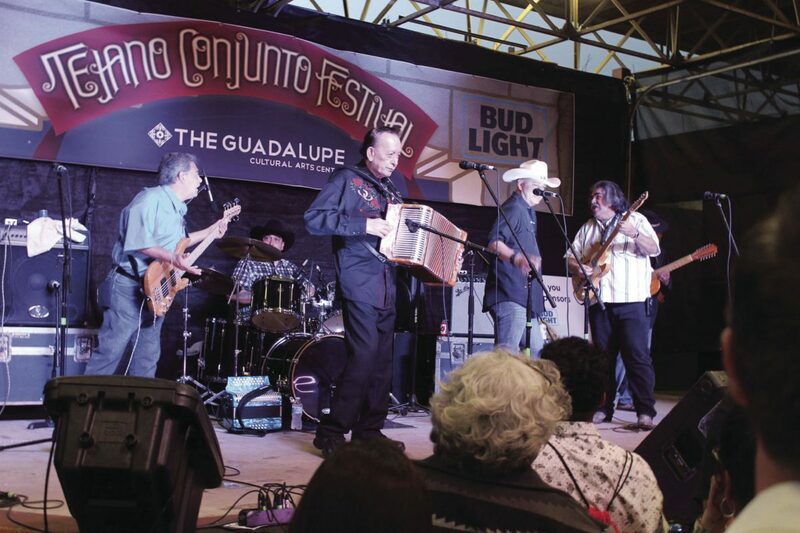 >> South Texas conjunto legend Pepe Maldonado has lined up the month of May with another quality list of top conjunto acts from the Valley and beyond. Thanks to Joe Maldonado for reaching out and always letting me know the upcoming schedule. These are the following acts scheduled for May: Benefit Dance with Ruben de La Cruz y su conjunto, Los Delta Boyz, Riley y Los Gilitos, and Hector Gonzalez y Los X2G’s (May 7), Los Fantasmas del Valle (May 14), Lazaro Perez y su conjunto and Los Amores (May 21), and Gilberto Perez y su conjunto and Grupo Vidal (May 28). Entry fee is $10, and the music starts at 6 p.m. every Sunday night. For more information on these upcoming events, you can visit https://www.facebook.com/lalomitapark?fref=ts or call La Lomita Park owner and promoter Pepe Maldonado at (956) 867-8783. >> Salinas Promotions is hosting a lucha libre event at Los Portales Pulga in Alton on Friday, May 12. The event is a celebration of Mother’s Day and mother’s will enter free. The main event will be a rematch between Corazon de Barrio and Laredo Kid, the two faced off on April 28. Axel, the grandson of the legendary El Santo, will also be in action. More names and matches should be announced in the coming weeks. Pre-sale is $15 for adults, two kids can get in for $10, and those prices increase by $5 at the door. For more information, call (956) 457-9828. >> The massive line-up to the three-day Tejano Conjunto Festival in San Antonio has been released and is taking place later this month. The line-up includes: Flavio Longoria y Los Conjunto Kings (6 p.m. May 26), Retoño (7 p.m. May 26), Mando y La Venganza (8 p.m. May 26), Rio Jordan and Juanito Castillo (9 p.m. May 26), Ricky Naranjo y Los Gamblers (10 p.m. May 26), Boni Mauricio y Los Maximos (11 p.m. May 26), Guadalupe Cultural Arts Center Accordion Students & Conjunto Heritage Taller (1 p.m. May 27), Southside High School Conjunto Cardenales with Anna U. Bustamante and the Big Squeeze champions Aaron Salinas and Rito Peña (2 p.m. May 27), Miguel Perez y Conjunto San Antonio de España (3 p.m. May 27), Katie Lee Ledezma y su conjunto (4 p.m. May 27), Hector Gonzalez y Los X2G’s (5 p.m. May 27), Los Morales Boyz (6 p.m. May 27), Ruben Garza y La Nueva Era (7 p.m. May 27), Ruben de la Cruz y su conjunto (8 p.m. May 27), Los Monarcas de Pete y Mario Diaz (9 p.m. May 27), Lazaro Perez y su conjunto (10 p.m. May 27), Tony Tigre y La Rosa de Oro (11 p.m. May 27), Conjunto Halcon of Los Fresnos High School & Canales Elementary School Conjunto de Brownsville (1 p.m. May 28), Inevitable (2 p.m. May 28), Los Enmascarados (3 p.m. May 28), Los Leones de Alberto Solis (4 p.m. May 28), Linda Escobar y Conjunto Amable (5 p.m. May 28), Conjunto Los Borregos (6 p.m. May 28), Santiago Jimenez Jr y su conjunto (7 p.m. May 28), Eva Ybarra y su conjunto (8 p.m. May 28), Flaco Jimenez y su conjunto (9 p.m. May 28), David Lee Garza y Los Musicales (10 p.m. May 28). For more information check out http://www.guadalupeculturalarts.org. >> Chulita Vinyl Club returns to the Rio Grande Valley as Chulita Vinyl Club RGV teams up with Chulita Vinyl Club Austin at Yerberia Cultura on May 20. 21 and older are free, $5 cover for those underage. For more information, check out the Yerberia Cultura Facebook page.